How to protect wine in luggage? The best wine protection products. We’ve all been there; you’re enjoying your summer holiday in the sun discovering and tasting lots of new and exciting wines, but you can’t decide whether to buy a couple of bottles to bring home with you. In the past, you might not have thought it was possible, and if it was, it was always a bit of struggle to get them home safely and in one piece. With the zero tolerances in taking more than 100ml of liquid as hand luggage on planes, your only option would be to wrap the bottles in towels and clothing within your suitcase and hope for the best that they aren’t broken in your suitcase! So, what is the best method of wine protection? I openly admit that I used to do this all time when on trips to such places as Porto, Bordeaux and Napa Valley in California, the great news is that there’s no need to do this anymore as there are now specialist wine bags and holders that are designed exactly for this, safely transporting wine in your suitcase! 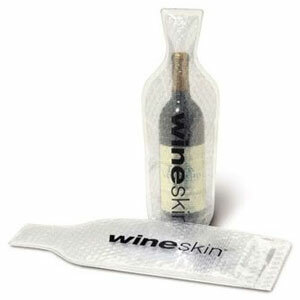 Here at Wineware, we stock a couple of great options for wine bottle protector / travel bags which are perfect for wines, olive oils, vinegars and other such bottled items which are susceptible to breakage whilst in transit. The JetBag is a totally seal-able bag that has a protective layer where the bottle sits, it’s able to soak up to 750ml of liquid, so in case the bottle does accidentally break, there’s no liquid to clear up and it should all be absorbed within the bag. If the worst doesn’t happen, then it’s totally re-useable for your next trip away! The Wineskin, is again a totally seal-able bag but it can only be used once. The seal is really strong so no liquid will escape if the bottle were to break; it has a bubble wrap material inside giving the bottle great protection from the base to neck. Although this can only be used once, it’s a great alternative to the JetBag because of the added protection the bottle will receive. So how to protect wine in luggage? It’s simply, use one of our wine bottle travel bags to protect wine bottles perfectly when stored in your suitcase / luggage when travelling by plane! 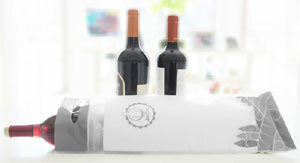 Click here if you require more information regarding Wineware’s Wine Bottle Travel Bags.